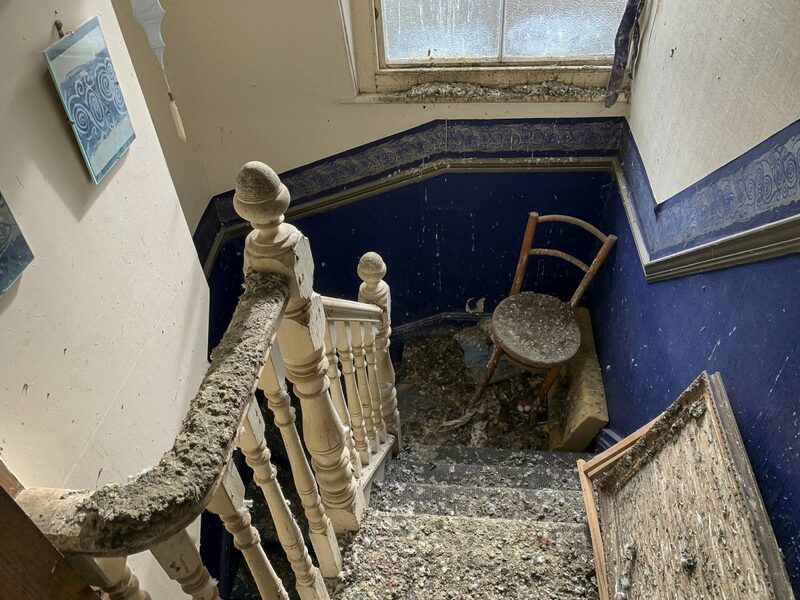 A four-bed property has sold for £100k after the previous owner fled due to a huge problem with PIGEON poo – which still covers the inside. The house in a desirable part of Devon was bought for a knock-down price but still went for more than double its initial £45,000 asking price. Number 1 Coburg Villas in Ilfracombe has been described as a large, terraced house with big rooms, outdoor space and stunning views over the Bristol channel. But prospective buyers were warned the project was not for the faint-hearted as it needed a lot of work. In addition to the missing windows, there is no staircase on the first floor, there are fallen in ceilings and several rotten floors and the property has a serious pigeon poo problem. The upper floors are absolutely coated in bird faeces and in some places up to two feet thick with the stuff. Father and son duo John and Guy Jones have taken on the challenge after buying the property at auction on Friday. Mr Jones said the clean-up was going to be a “nightmare” but said he was looking forward to getting stuck in. More than 100 people attended the auction and a round of applause erupted when the gavel went down. Lee Hussell, director of estate agents Webbers, said the house was lived in until the end of last year. He said: “The lady who lived here kept herself to herself and has now moved into rented accommodation. 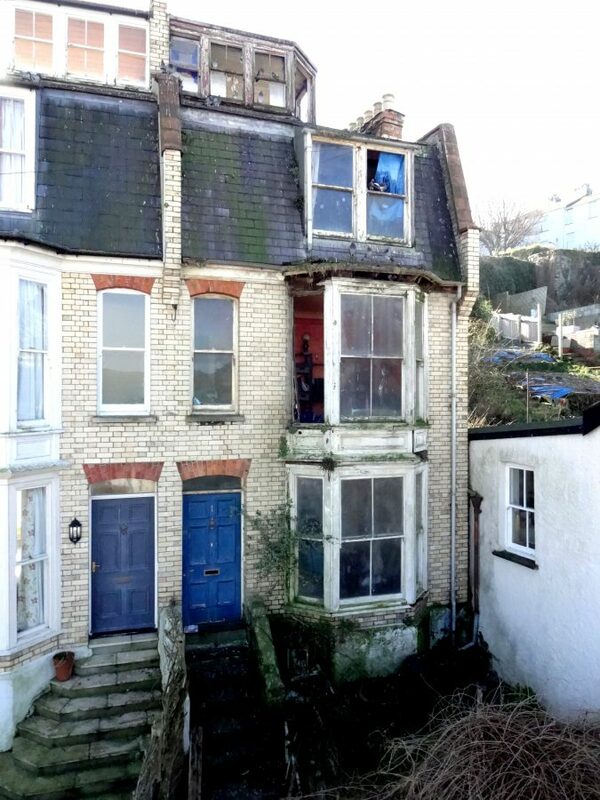 “The property is in a very sorry state of repair but has massive potential. Mr Hussell said he was astonished by the level of attention the property received. “It was picked up all over the UK and then we saw it popping up on sites in Australia, New Zealand and South Africa,” he said. On the website the premises is described by Webbers as a “proper renovation project not for the faint-hearted!”. It continues: “The house is on the market for the first time in nearly 40 years. 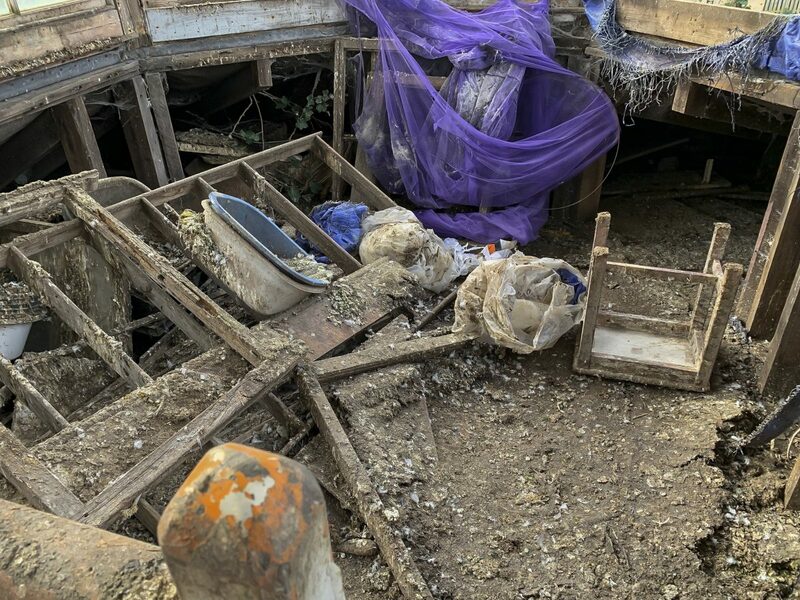 “The three-storey accommodation is in a very poor state of repair with some areas open to the elements and the bay windows in a state of dilapidation and in need of rebuilding. “There is no staircase to the first with access being required by ladder only and some of the floor areas being held up on acrow props. 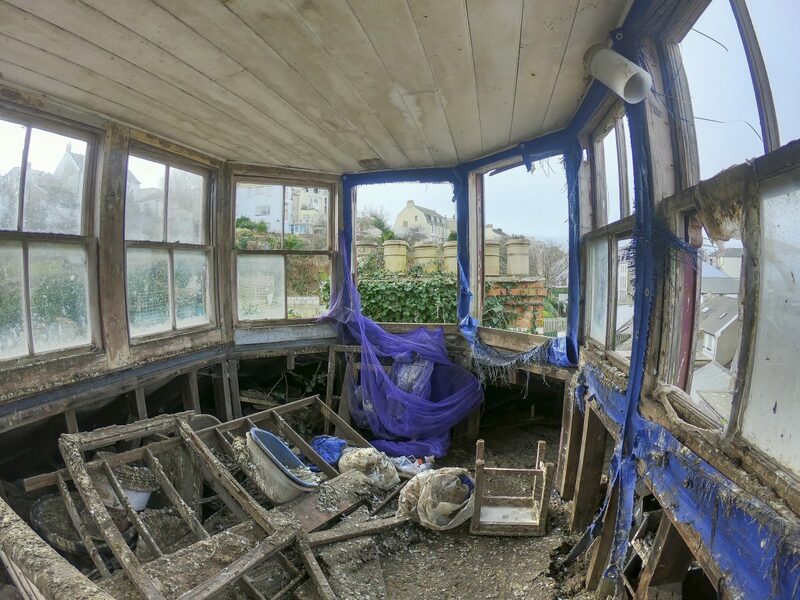 “There are several areas of rot and dampness with the property likely to require a complete strip out and re-fit. “As a result of the works required we can almost certainly say that the property is not suitable for mortgage lending purposes.